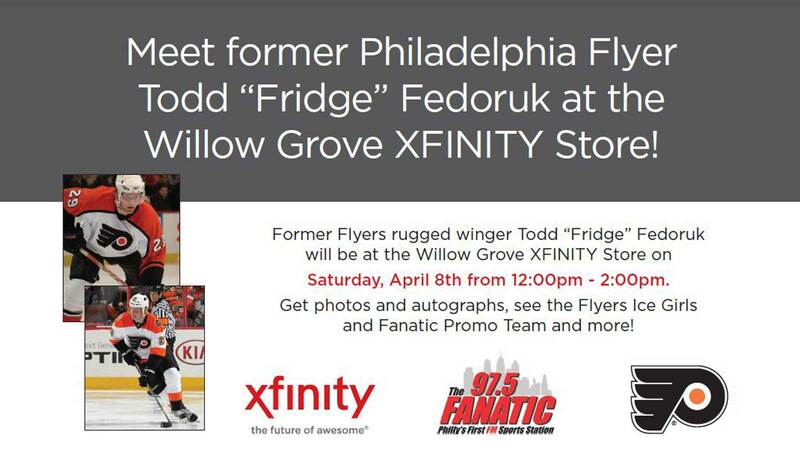 Meet former Philadelphia Flyers rugged winger Todd “Fridge” Fedoruk on Saturday, April 8th! This meet-n-greet event will be held from 12-2 p.m. at our Willow Grove Xfinity Store, located at 2510 W. Moreland Rd. 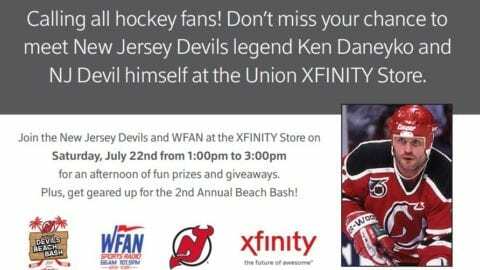 Get photos and autographs, see the Flyers Ice Girls and 97.5’s The Fanatic Promo Team will also be on site.